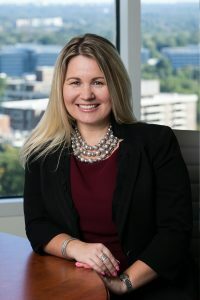 April 17, 2019 | Tysons Corner, VA Offit Kurman attorney Lauren A. Jenkins has been selected to speak at the Conner-Zaritsky 40th Annual Advanced Estate Planning and Administration Seminar. Described as “Virginia’s premier estate planning program,” the annual Conner-Zaritsky seminar brings leading estate planning attorneys together for a weekend of education, activities, and networking opportunities. The event is sponsored by Virginia CLE®, the nonprofit educational division of the Virginia Law Foundation, in association with the Wills, Trusts and Estates Section of The Virginia Bar Association. This year’s seminar will be held Friday, May 3rd through Sunday, May 5th at The Williamsburg Lodge in Williamsburg, Virginia. Attendees can earn up to 12 Continuing Legal Education (CLE) credits including 2 hours of ethics training. Ms. Jenkins is scheduled to co-present a course on Saturday, May 4th at 9:30 am, alongside Michael H. Barker of McGuireWoods. Their presentation is titled “A Vacation Home Is All I Ever Wanted—Until I Didn’t: Advising Clients Through the Thrills and Agonies of Legacy Property Ownership.” Ms. Jenkins and Mr. Barker will discuss strategies to help planners address tax traps, governance obstacles, valuation disputes, creditor attacks, and other difficult problems faced by clients with beach houses, mountain compounds, and other legacy properties. At Offit Kurman, Ms. Jenkins focuses her practice on tax and estate planning, prenuptial and postnuptial agreements, trust and estate administration, and tax compliance in Virginia, Maryland, and the District of Columbia. Ms. Jenkins is a sought-after lecturer and writer on estate planning, estate administration, and trust topics. She has been a featured speaker at numerous seminars, symposia, and programs hosted by industry groups, bar associations, and government agencies. Her writing has appeared in publications such as Thomson Reuters, Virginia Lawyer, and Probate & Property. In recognition of her work, Ms. Jenkins has received a number of awards and honors, including distinction as a Top Lawyer, Top Wealth Advisor, and Top Financial Professional in lists published by Washingtonian Magazine and Northern Virginia Magazine. To learn more about The Conner-Zaritsky Advanced Estate Planning and Administration Seminar, and to register for the event, click here. To contact Lauren Jenkins, please visit her Offit Kurman attorney page. 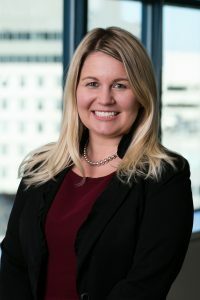 Lauren A. Jenkins focuses her practice on tax and estate planning, prenuptial and postnuptial agreements, trust and estate administration, and tax compliance in Virginia, Maryland, and the District of Columbia.